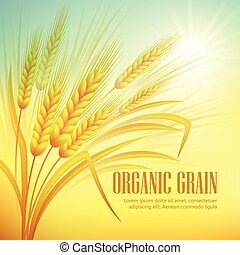 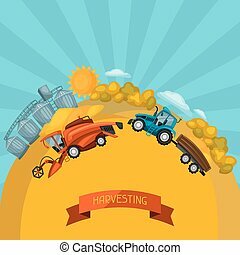 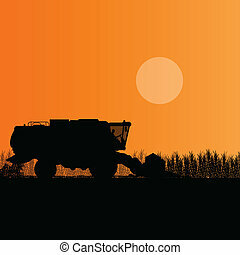 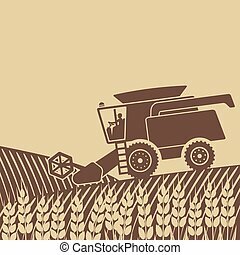 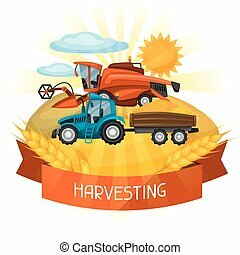 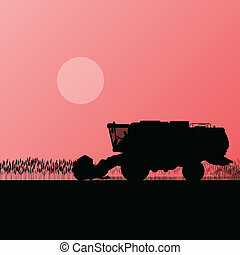 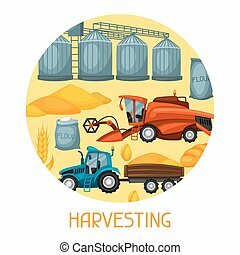 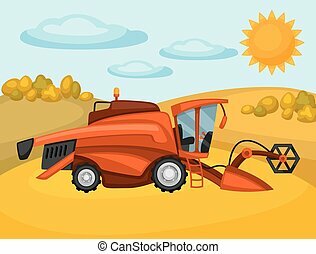 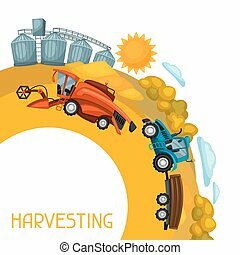 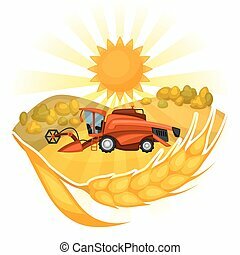 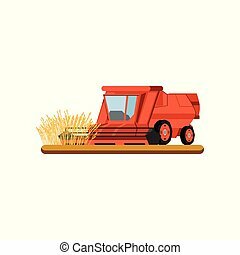 Agricultural combine harvester in grain field seasonal farming landscape scene illustration background vector. 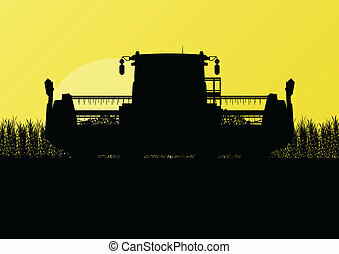 Combine harvester on wheat field. 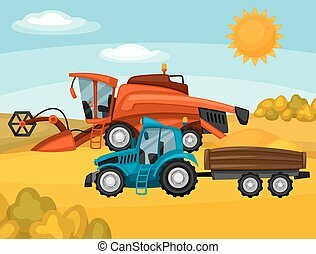 Agricultural illustration farm rural landscape. 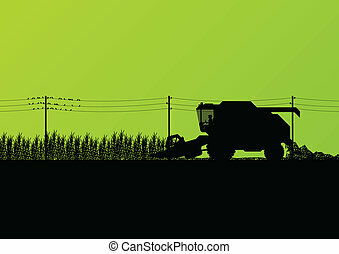 Harvesting background. 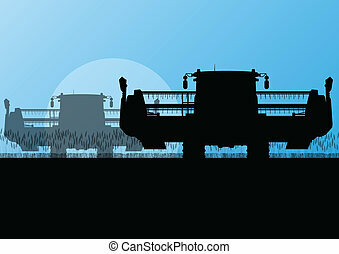 Combine harvester, tractor and granary on wheat field. 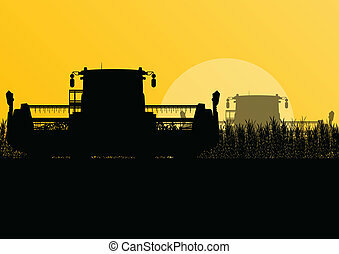 Agricultural illustration farm rural landscape. 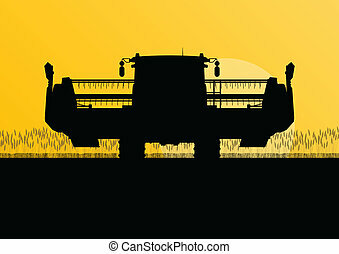 Combine harvester and tractor on wheat field. 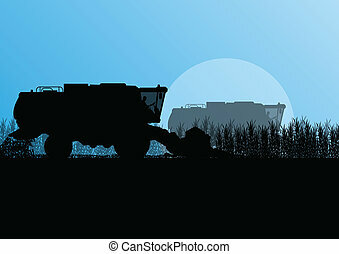 Agricultural illustration farm rural landscape. 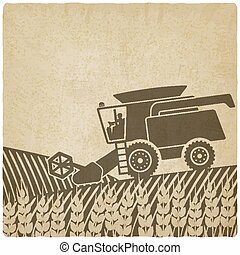 Harvesting background. 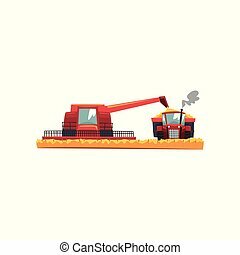 Combine harvester, tractor and granary. 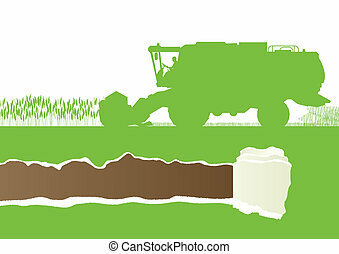 Agricultural illustration farm rural landscape. 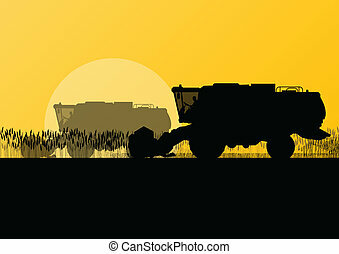 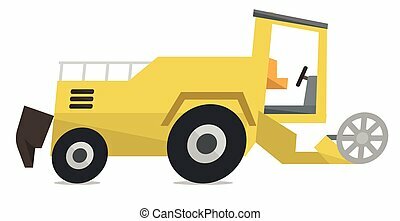 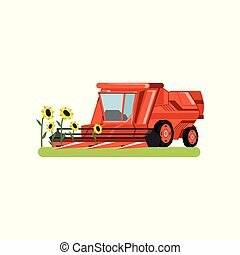 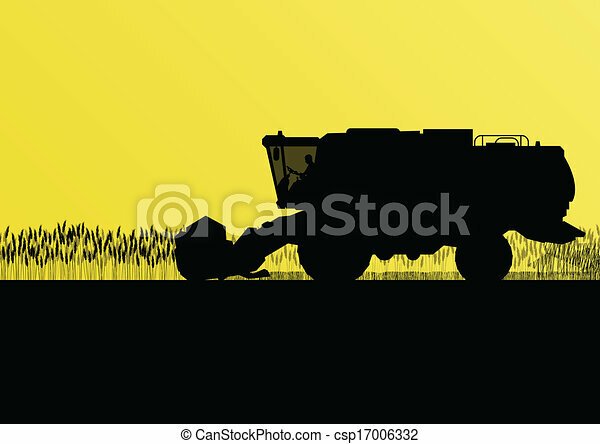 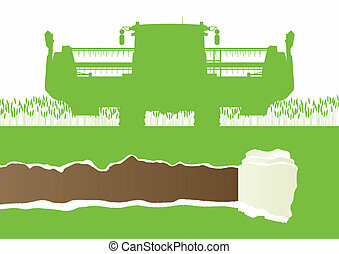 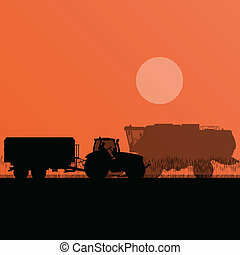 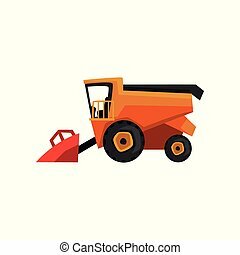 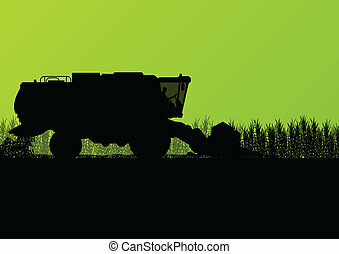 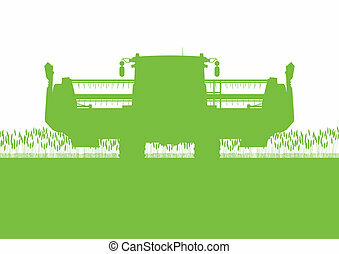 Modern combine harvester vector flat design illustration isolated on white background.